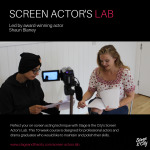 Quite a many aspiring actors spend days and months anxiously, waiting to get acting auditions call. If you have received a call for audition casting, you are really lucky and you must thank God for that. But don’t assume that acting audition call would fetch you the work in TV or films. Auditions call is just an opportunity that is being given to you to showcase your acting talent to your future directors and producers. If you don’t want to lose this golden opportunity, you must take things very seriously. Given below are certain things that you must avoid when appearing for the auditions. Going unprepared; this is the biggest mistake that most aspiring actors commit when appearing for any auditions. In the joy and excitement of having received the acting audition call, they forget that the auditions are going to be the testing time for them wherein all that they have learned so far or what all they have done in the past would be judged. And based on that, their future is going to be determined. So, prepare yourself thoroughly before you appear for the auditions. Brush your acting skills. Work on dialogue delivery, body language, and on your facial expressions. The jury present at the casting auditions must be totally impressed with your acting skills. Not researching about the company and the job: do not forget to research about the company who is conducting the open auditions because if you don’t know anything about the company, the kind of tv shows or films that they make, and the one that they are planning to produce or direct, you won’t be able to meet their requirements. You must be well informed about the role and its requirements that you are applying for. Dressing inappropriately; costume plays an important role in the overall ensemble of an actor. By virtue of wearing an attractive dress, an actor can draw all the attention towards himself. It becomes difficult for the audience to take their eyes away from the stage or screen where the actor is performing. When appearing for the auditions, make sure you are dressed appropriately. You must neither over-dress yourself nor should you dress casually. Choose the outfit that suits the role and the situation that you would be presenting on stage. Feeling shy and awkward; an actor must be confident and bold. He must have the guts to look straight in to the eyes of his audience. The more confident he is the better would be his acting. When you go for the auditions, you must feel 100% confident. You must have a positive frame of find that you are going to impress the jury and bag the role for yourself.